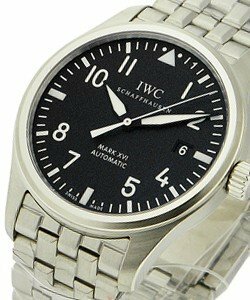 Originally, IWC was an American company producing watches in Switzerland for the US market. In 1868, the company moved to Schaffhausen, Switzerland. IWC really made a name for itself in World War II by making intricate Pilot's Watches. 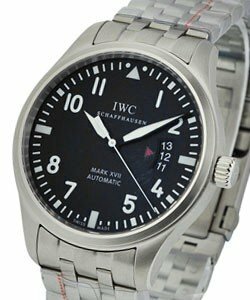 IWC has long been regarded amongst the finest Swiss manufacturers of watches and they have continued to produce spectacular complicated pieces to maintain and expand their reputation. Minute repeaters, Perpetual Calendars and the Grand Complication are amongst the most admired pieces made. 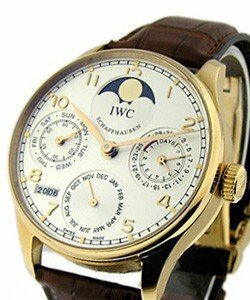 In 2000 IWC was purchased by Luxury giant Richemont (Cartier, Baume & Mercier, Le Coultre, Piaget, Mt. Blanc and Vacheron Constantin) and the new management is enjoying significant growth. The IWC look is clean and contemporary, this brand is also very inventive; the first Diver's watch (the 'Aquatimer') was created by IWC, resulting in 'Aquatimer's' 1967 launch. 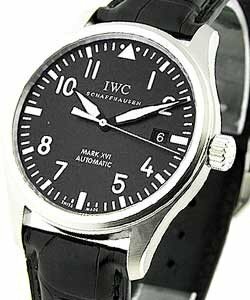 These IWC diver's watches are very popular pieces for those with an active lifestyle. The Aquatimer line includes: the 'Aquatimer Automatic', the 'Aquatimer Automatic Chronograph', the 'Aquatimer Split Minute Chronograph', and the the 2000 meter resistant titanium 'Aquatimer Automatic 2000'. 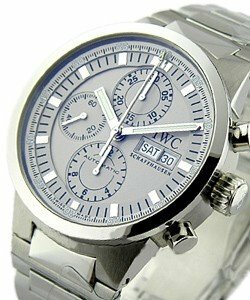 Most popular of all IWC watches is the 'Portuguese' line. With flawless craftsmanship, and superb appeal, the Portuguese line appeals to those looking for a traditional and classic but modern timepiece. The outstanding craftsmanship and enduring quality of the Portuguese line, coupled with sophisticated Arabic dials and optional complications, have cemented IWC's Portuguese models as IWC's 'most talked about'. Available along with IWC's 'Portuguese Automatic' and its chronograph model, the 'Portuguese Automatic Chronograph' are: the 'Portuguese Regulator', the 'F.A Jones Limited Edition', the 'Portuguese Perpetual Calendar', the seven day reserve 'Portuguese Tourbillon Mystere', the 'Portuguese Perpetual Calender II', and the incredible chiming 'Portuguese Minute Repeater'. 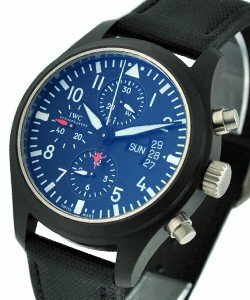 IWC's 'Pilot's Watches' include the 'Big Pilot's Watch', 'Pilot's Watch Chronograph', 'Pilot's Watch Mark XVI', 'Pilot's Watch Double Chronograph' aka the 'Pilot's Watch Doppelchronograph', the 'Pilot's Fliegerchronograph', the ' Pilot's Watch Double Chronograph Edition TOP GUN' , and the (two-piece) 'Pilot's Watches for Father and Son Collection'. Aside from the 46mm, high-tech black ceramic and grey titanium 'Pilot's Watch Double Chronograph Edition TOP GUN', there is surprisingly little difference in style among IWC 'Pilot's Watches'. Most differences in 'Pilot's Watches' appear in each watch model's size, weight and functions. With a split-second added to the chronograph function, the most complicated watch of the 'IWC Pilot's collection' is the 'Pilot's Doppelchronograph', on the other end, the 'IWC Mark XVI' is the only non-chronograph of the 'Pilot's Collection'. All IWC 'Pilot's Watches' exemplify functionality, durability and style, and run a close second in the IWC 'most popular' race. The perfectly crafted tonneau-shaped IWC 'Da Vinci Collection' features highly technical complications coupled with high-end style, housed in 18K Rose Gold, Stainless Steel or Ceramic & Titanium cases. From the vintage-looking 'IWC Da Vinci Automatic' watch to the uber-modern, almost futuristic 'Da Vinci Chronograph Ceramic' model, the IWC 'Da Vinci' Collection oozes high-end, sophisticated style. 'Da Vinci' mechanical watches are such elaborately complicated, yet aesthetically-attractive timepieces, they're perfect for those who usually consider 'looks' first. With IWC's 'Da Vinci' line, one definitely gets function along with flair. IWC 'Da Vinci' models include 'Da Vinci Perpetual Calendar Digital Date-Month', 'Da Vinci Chronograph Ceramic', 'Da Vinci Chronograph', 'Da Vinci Automatic', and the Kurt Klaus (IWC designer/inventor/watchmaker) dedicated, 'Da Vinci Perpetual Calendar Edition Kurt Klaus'. The 'IWC Ingenieur Collection' is comprised of classic analogs with a minimalist look and intricately crafted chronographs for men who prefer a more sporty look with greater functionality. The Classic 'IWC Vintage Ingenieur' is an automatic, antimagnetic watch, very popular with classic watch collectors and vintage loving fashion fiends. Not about complications like subdials or moonphases, the simple function of accurately telling time (and on some models the date) in a classic design is the fully achieved goal of both vintage and classic 'IWC Ingenieur Watches'. Water resistant up to 120 meters and available in both titanium and steel, the modern and masculine 'IWC Ingenieur Chronograph' comes with a variety of features, and in various sporty designs. Models include 'Big Ingenieur Chronograph', 'Big Ingenieur', 'Ingenieur Automatic Mission Earth', 'Big Ingenieur Automatic Zinedine Zidane Special Edition', 'IWC Ingenieur Automatic Climate Action Limited Edition', 'Plastiki Ingenieur Limited Edition', 'Ingenieur Zin�dine Zidane Limited Edition', 'Big Ingenieur 7 Day Power Reserve' and 'Ingenieur Chronograph AMG'. Other notable IWC Luxury Watch collections include: the 'IWC Porsche Design Collection', the 'IWC Pilot's Watches Spitfire Collection', the 'IWC Grande Complication Collection', the 'IWC Vintage Collection', and the 'IWC Portofino Collection'. 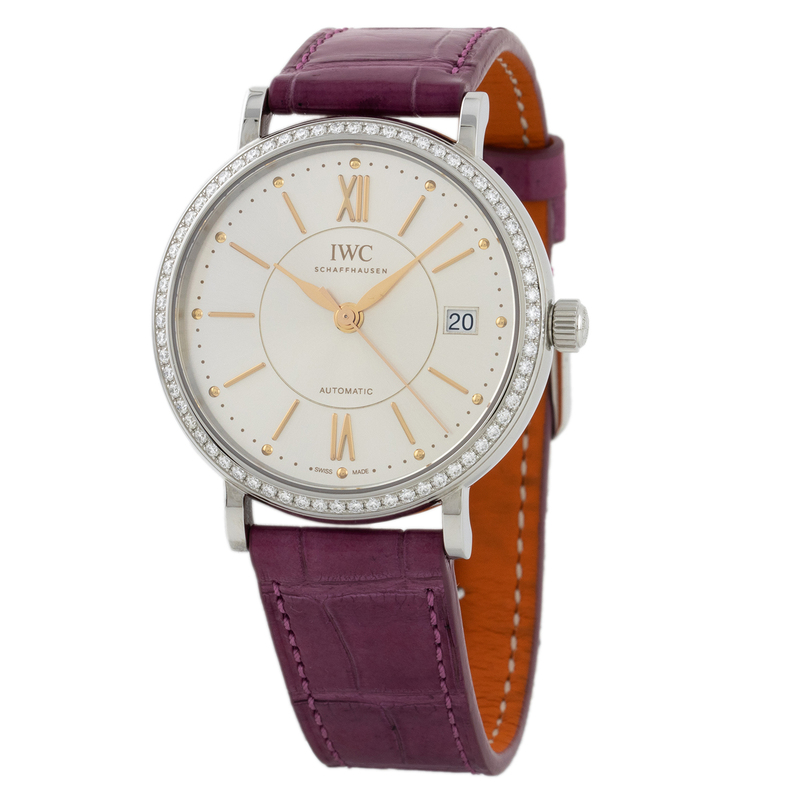 All Authentic IWC Luxury Watches are aesthetically crafted to be classics, which make IWC timepieces a smart choice; IWC wearers can trust their IWC Luxury Watch will always be in style.